A reciprocating saw, also known as a saber saw, is an electric saw that is used for multiple projects at home. Different household tasks require different equipment, but this saw acts as an all-inclusive tool that can substitute several items. This tool is often used in hard-to-reach areas where there is no other saw can fit. It uses a push and pull motion of its blade to cut, and you can use it to cut through hard areas like floors and corners without difficulties. It is one of the best tools to have if you are a DIY person. Once you have found the best reciprocating saw for your workshop. You’ll next be wanting to find ways to put it to good use. In this post, we will explore the main uses for a reciprocating saw. 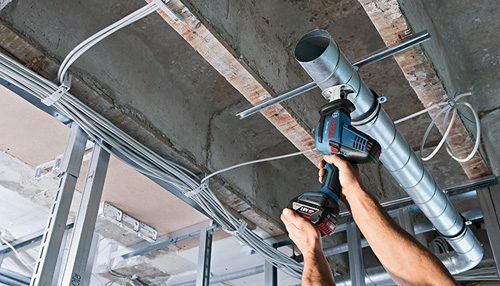 The reciprocating saw acts as an important arsenal for plumbers, AC installers, and electricians. 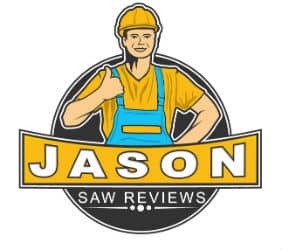 Because most of these tasks involve getting into hard-to-reach areas where a normal saw cannot penetrate, the perfect accessory to save you is a reciprocating saw. Thanks to its double-faced blade that has a tip, this saw can facilitate plunge cuts. After identifying the type of material to cut, you will need to install the right blade, and the saw will do the rest of the work. There are different types of blades meant to cut different surfaces. 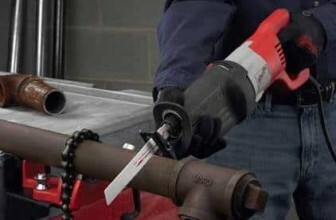 A strong blade will cut through PVC or metal pipes and create a perfect pathway for electric and piping work. 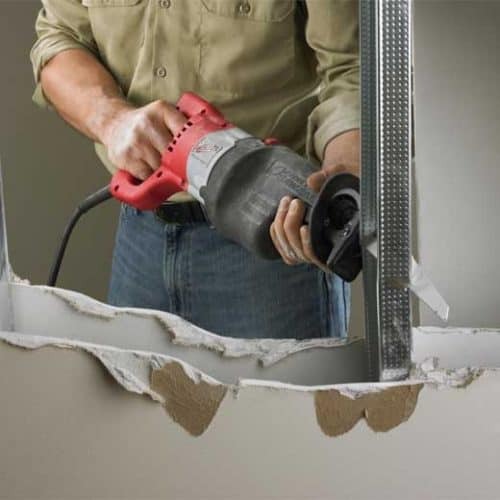 If there is a damaged area of drywall that needs to be replaced, there are concerns that one might destroy electric pipes or cables or go through the studs behind the drywall. 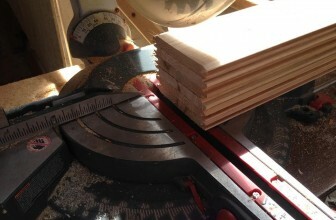 But with a reciprocating saw, you can make this task easy and error-free with a simple technique. Fit a drywall blade on your saw and cut the wall to the depth of the drywall section. This will ensure that you only cut the drywall and not what is beneath it. Although a workshop tool, this power tool can also be of great use to gardeners. Its small and maneuverable nature makes it ideal for landscaping and pruning. It is much easier to use than a chainsaw. It gives you more balance than when you are using a chainsaw because you will not need to hold it tightly. It is also highly efficient and lightweight. If you are planning on using it for gardening work, you can go for specialized blades designed for pruning. Reciprocating blades are also great for cutting through metallic items such as pipes, nails, metal sheet, etc. However, you will need to install a metal blade and some liquid to minimize friction. Otherwise, your blade might be at a greater risk of breaking off, which can cause an accident. Always have your protective gear on when cutting metallic surfaces especially if it generates a lot of loose pieces, dust, and noise. If you want to renovate or demolish your flooring, a reciprocating saw can help you remove tiles fast. You only need to install a scraping blade which you will work it out in push-and-pull motions. This saw will neatly and effectively do a great job in removing linoleum tiles glued to the floor, ceramic tiles, and other types of flooring. It works effectively and is simple to use. Work your way between the tile and floor to avoid a damaging a lot of tiles and creating a large mess. When fitting doors and windows, you will need to make a precise cut into the wall, otherwise, you will end up damaging the quality and structure of noise and thermic insulation from the start. To adjust the cut for your window’s or door’s size, a reciprocating saw will do a great job as it allows you to make small, precise adjustment by shaving off small pieces of the frame. Also, its ability to fit in tight spaces and ease of handling makes it a handy tool for fitting jobs. This is one of the best uses for a reciprocating saw. 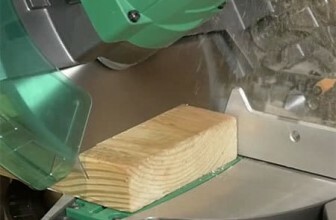 Although it does not provide perfect cuts, it can make fast and powerful cuts in tight spaces. You can cut through metal sheets, metal, bricks, tiles and wood with ease. To remove thin walls, furniture, or softer materials, any blades can do the work. However, for heavier materials such as brick or stone, you will need to use stronger blades. A reciprocating saw is a handy tool any DIY enthusiast should have. Make sure to have your protective gear on when using this tool for safety purposes.